Lock in a great price for Les Elles Guesthouse Self Catering – rated 9.7 by recent guests! Everything. The spotless apartment, especially the view from terrace, wonderful garden, peaceful environment. Few minutes walk from the beach. Bus stop is near and buses goes to victoria & everywhere. Lastly, Michel & whole family are the best hosts ever! Thank you for inviting me for dinner, food was delicious! Amazing view and hospitality, we loved everything, thank you again. Michael was an amazing host. He took care of us from the very second we arrived until we left (he woke up at 4:45am to help us with our luggage!). 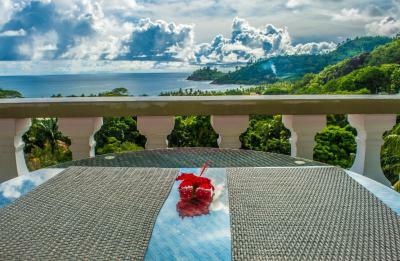 The room was beautifully prepared with fresh flowers and stunning views. Beautiful beach was a 15min walk. The most relaxed experience with a host we have ever experienced. Michel and his family his really nice and helpful. It exceeded our expectations. 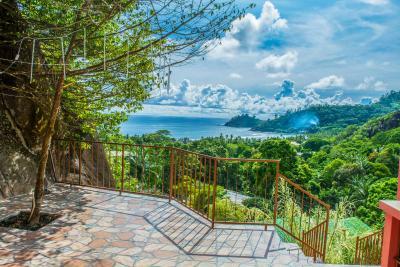 Beach is not so closed to the property, but the view and garden is absolutely amazing! 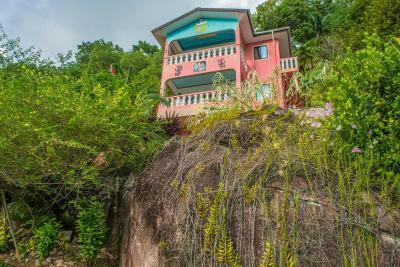 Property is extremely clean and fully equipped. It was amazing!! I have not one negative thing to say. The room is great, spacious, great small kitchen with everything you need. Bathroom with large shower. The view from the balcony is breathtaking. The owners were incredibly friendly and did everything to make our stay perfect! Would highly recommend to stay here, if you want to get away from the crowds and enjoy a few peaceful days! Finding it was an adventure but if you stick to the google coordinates, no problem. There are a few shops and restaurants nearby, the beach is beautiful too. 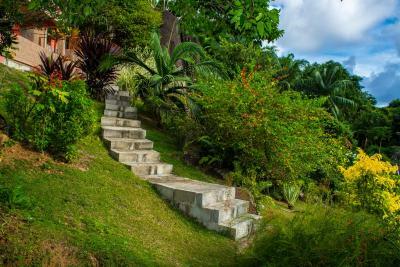 Just to consider: the house is on a hill, and you have to walk up quite steep stairs. You cannot fault the staff here, Michel and his family are super nice and welcoming. Such amazing hospitality from them. They are kind and caring and invited me to dinner and brought me lemon tea when I was sick. The room itself was also fantastic. Clean and spacious, big fan to keep you cool, kitchen area to cook, passable wifi, balcony with incredible views. I really really enjoyed staying there. I cannot thank the family enough, they went above and beyond for me and were really helpful. The room was so clean, with fresh flowers daily. The view from the room was incredible, as well as the gardens that sorround the property. The food the family prepared was delicious! I cannot wait to come back very soon. Les Elles was a really nice stay! We´ll come back. Michel and his family took really good care of us. The owner Michel and his lovely family gave me a very warm welcome and during my stay they have always been super supportive. No matter what request I had, they have done everything for me! The apartments are just beautiful, spotlessly clean and spacious. The view from the huge balcony is absolutely stunning you can see the ocean and some great little mountains. The kitchen is super well equipped and you can find anything you could wish for. The bed is very comfortable, there is also a TV and the Wifi was working perfectly well at all times! 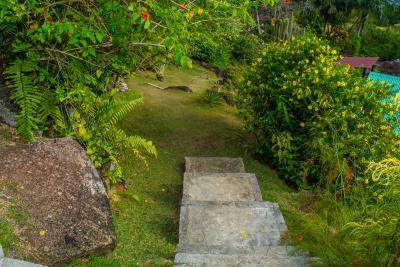 During the day you can hear the birds singing in the wonderful garden around the apartment. 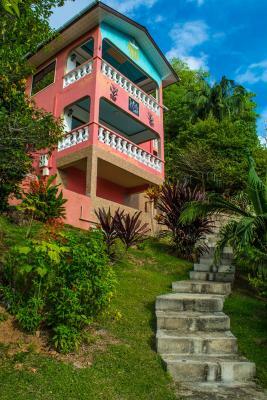 Located in the southwest of Mahé in Baie Lazare, you are next to Petit Anse and Anse Boileau and it takes you only five minutes to go to the beach. Since there is a bus station just one minute from the Apartment you can easily go and visit the other parts of the island. I absolutely recommend that place, it is just amazing! One of our best sellers in Baie Lazare Mahé! 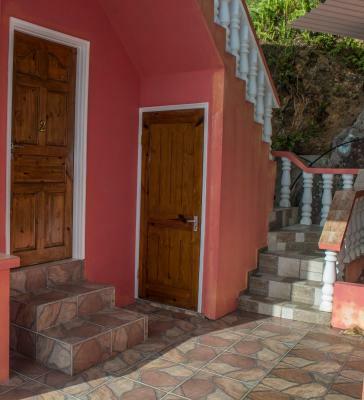 Boasting a garden and free WiFi, Les Elles Guest house Self Catering is located on hillside in Baie Lazare Mahé. This guest house offers luggage storage space. The rooms come with a balcony with a sea view. At the guest house, rooms are fitted with a desk. 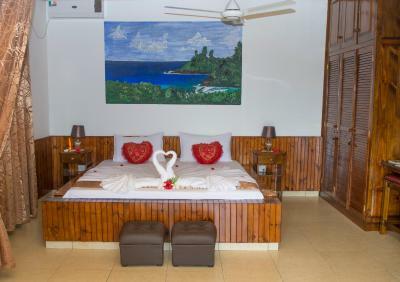 All rooms are equipped with a flat-screen TV, and some rooms are fitted with a garden view. Guest rooms include a wardrobe. 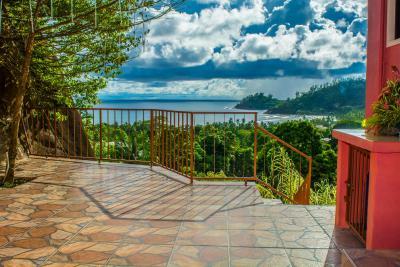 Mahe is 5 mi from Les Elles Guest house Self Catering. 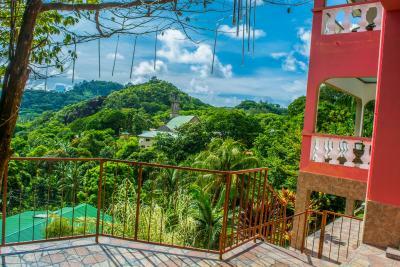 This property is also rated for the best value in Baie Lazare Mahé! Guests are getting more for their money when compared to other properties in this city. When would you like to stay at Les Elles Guesthouse Self Catering? This apartment has a balcony, garden view and mini-bar. House Rules Les Elles Guesthouse Self Catering takes special requests – add in the next step! Children 9 and older are allowed at this guesthouse. 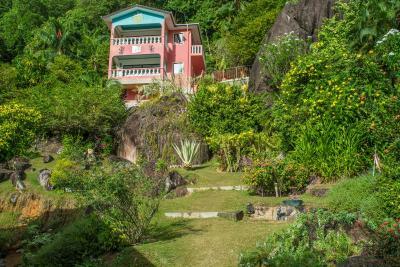 Please note that this property is located on a steep hillside. Please inform Les Elles Guesthouse Self Catering of your expected arrival time in advance. You can use the Special Requests box when booking, or contact the property directly using the contact details in your confirmation. The hill! Although having rented a car and there being a private parking spot it wasn’t that bad. Great exercise though! The location. The only downside to this guesthouse is it’s not in a very convenient place. Very little amenities around, 10-minute walk to a small convenience store and little cafe that’s not always serving food. There is one nice beach that is walkable but taking the bus to other parts of the island can be tricky and very time-consuming. 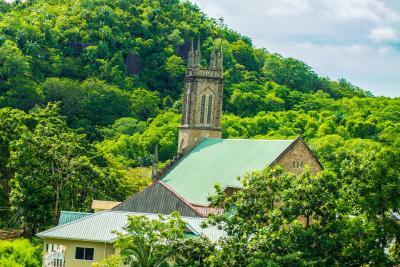 Next time I would hire a car for sure, that would have made all of Seychelles a lot easier. In which case this place would be great, just ask about parking first.